Additional Info – In the 1600’s the runstone stood in the vicarage. The stone disappeared later, but was rediscovered in 1908 in a road bridge near the church. In 1943 it was moved to it’s current location. 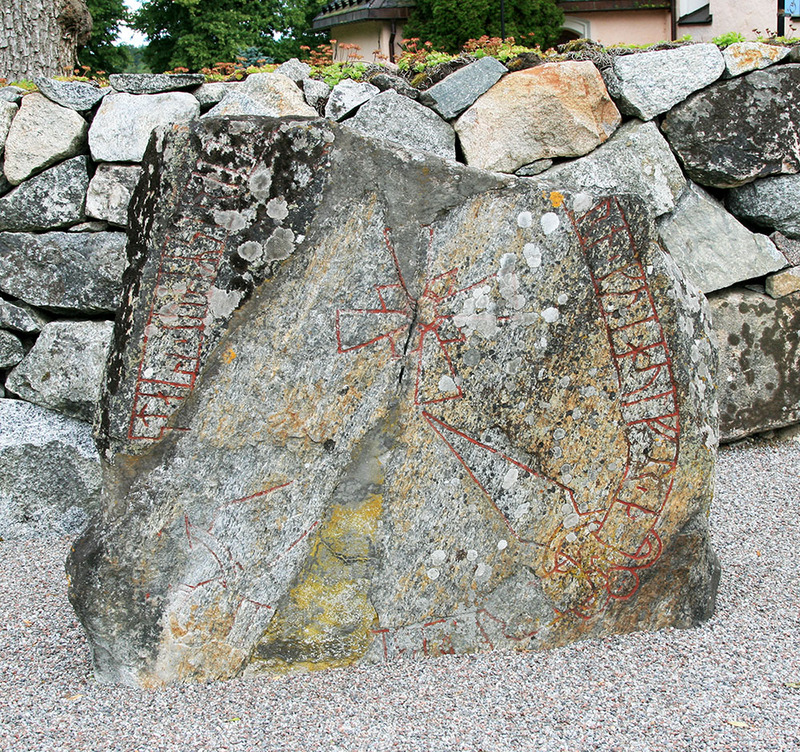 Kvigulv has never been a common name, but Igulbjörn has been found in 10 other inscriptions. The presence of the cross on the stone shows the family was Christian.